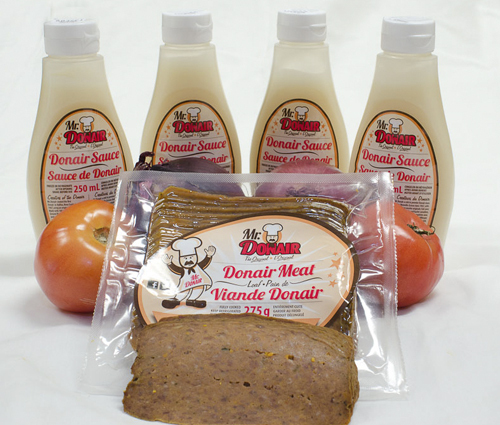 cooked strips of donair meat boast “The Original” John K.
recipe packed with tons of flavour. or burger, or spice up your favourite poutine! the deliciously sweet and unique Mr. Donair Sauce.